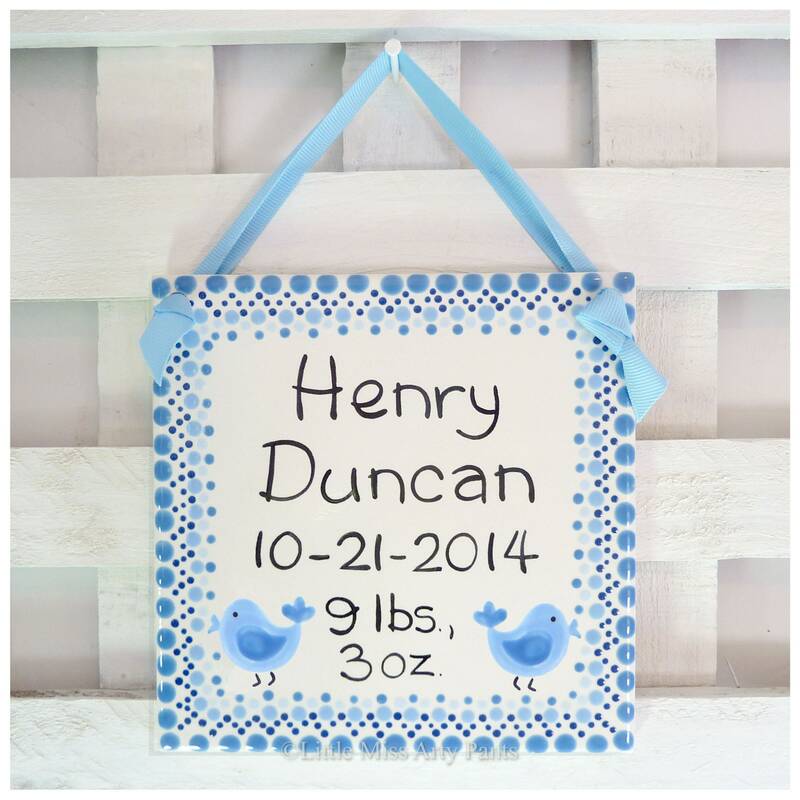 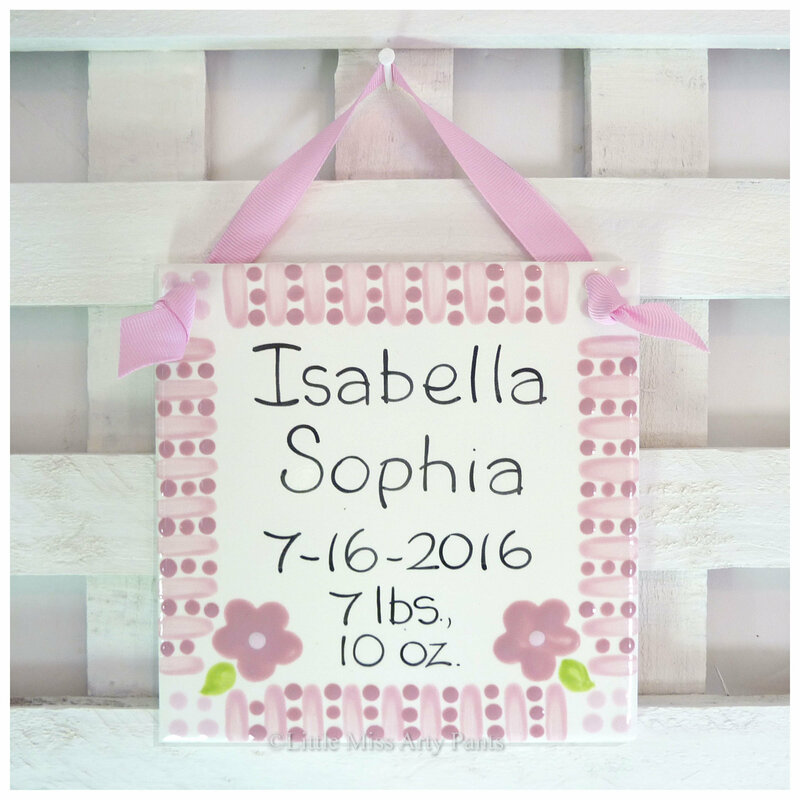 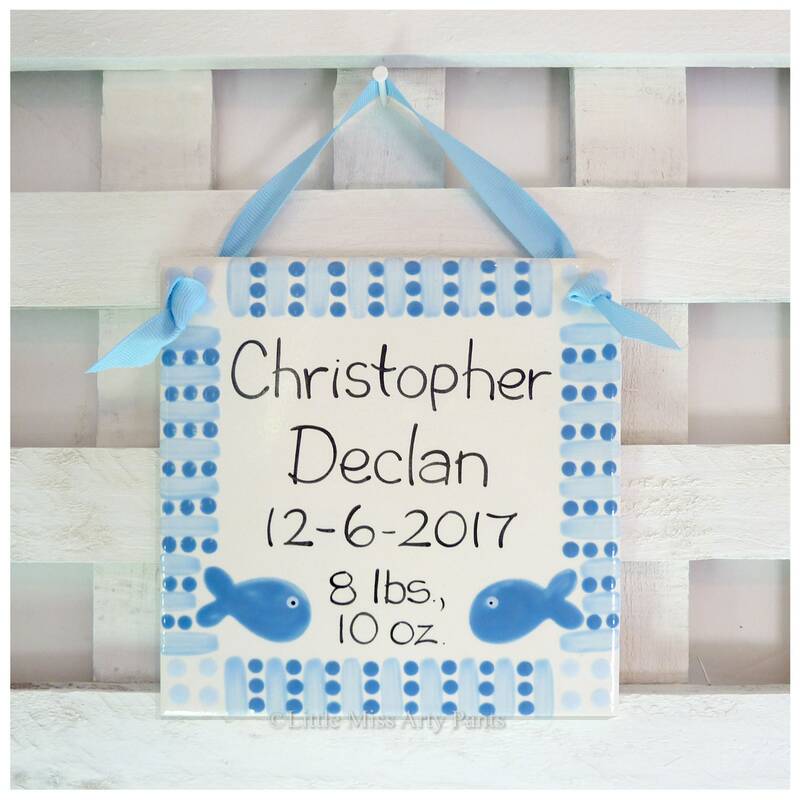 Celebrate the birth of a new little one with this sweet ceramic birth announcement plaque. It will make a special "new baby" gift for the proud new parents, grandparents, and godparents. 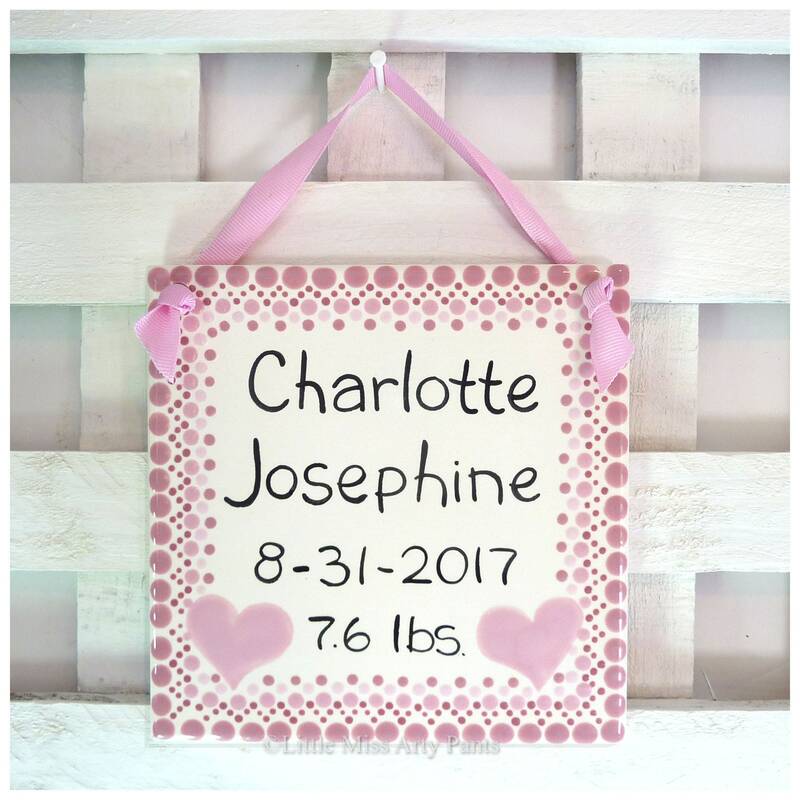 I personally hand paint each and every plaque with quality ceramic paints, and then I glaze and fire them in my kilns to create a quality keepsake. 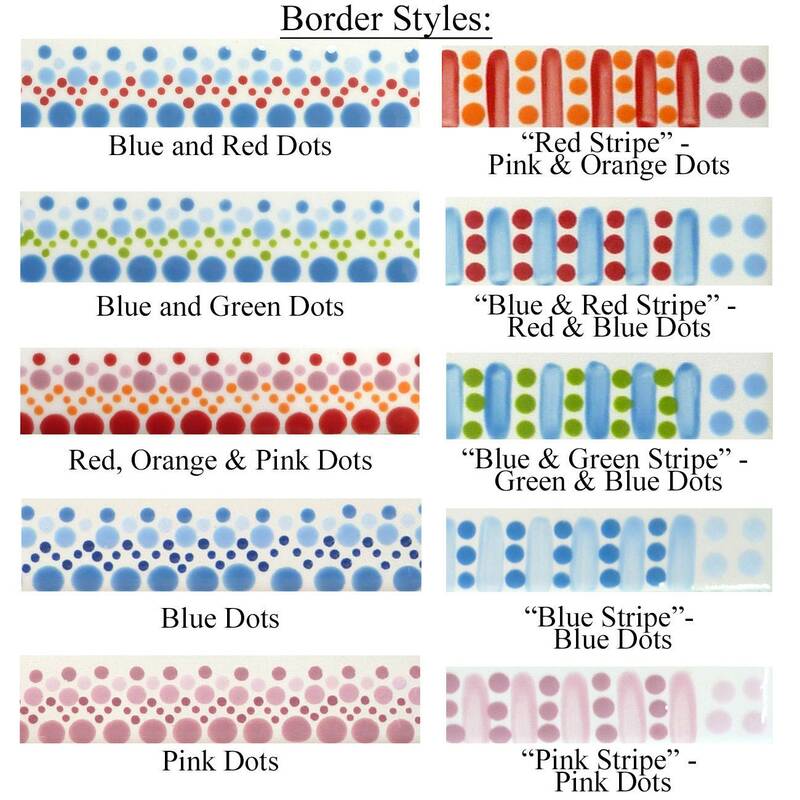 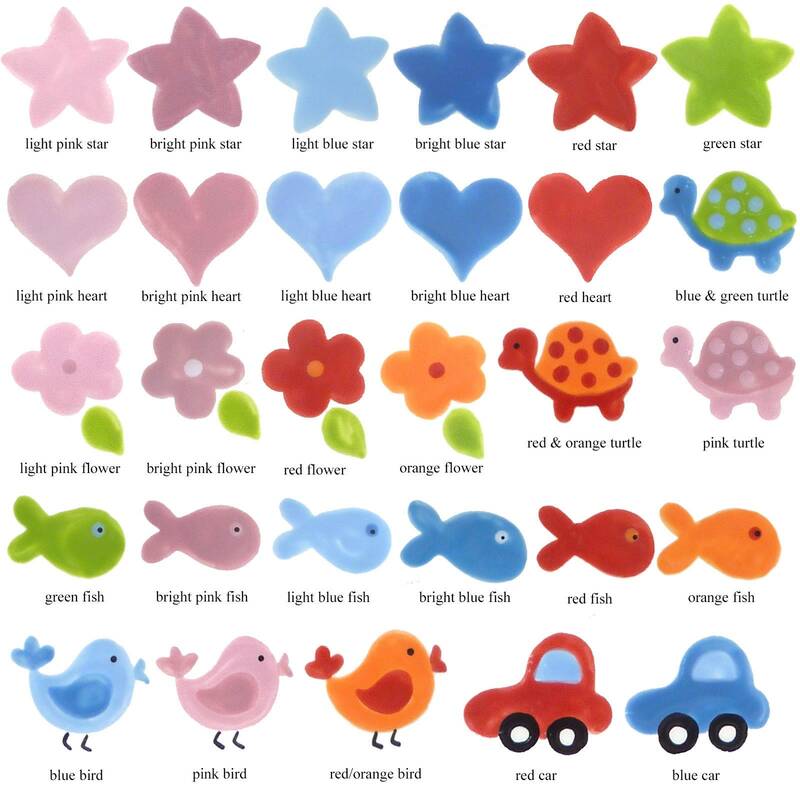 I do not use decals or paint pens, only quality ceramic paints and glazes. 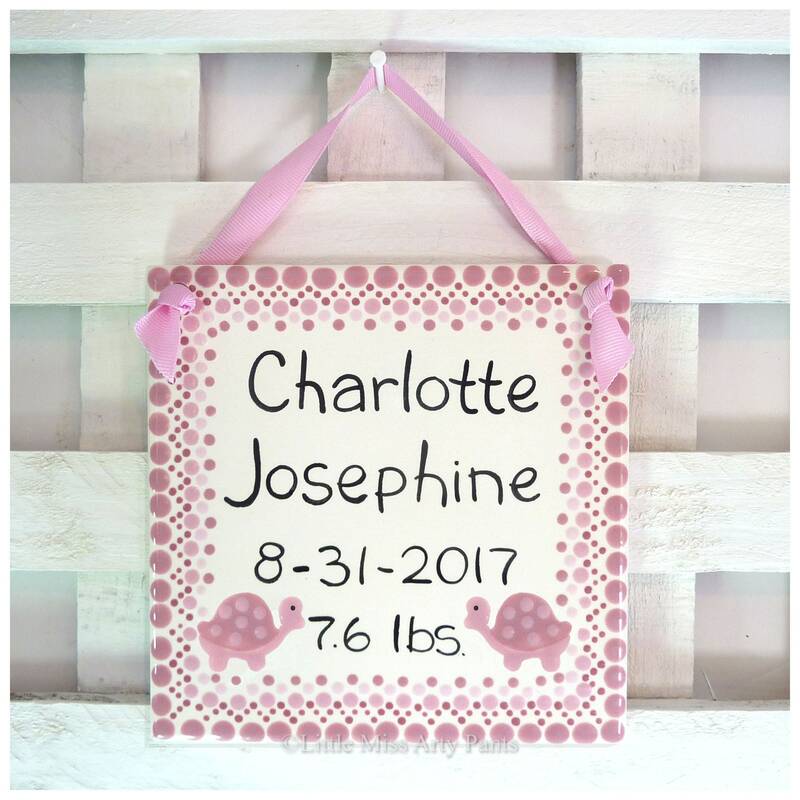 6" x 6" ceramic plaque - includes matching ribbon for hanging.